Robert the Bruce was one of the most famous warriors of his people, leading Scotland during the first of the wars of independence against England. He fought successfully during his reign to maintain his country's place as an independent nation and is today remembered in Scotland as a national hero. 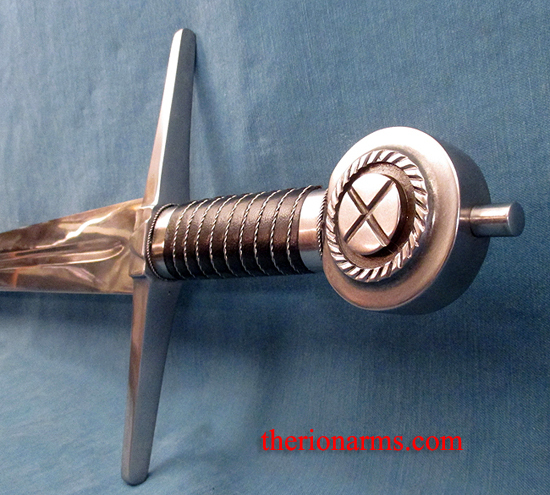 This sword in his honor is hand forged with a blade of 1065 high carbon steel. 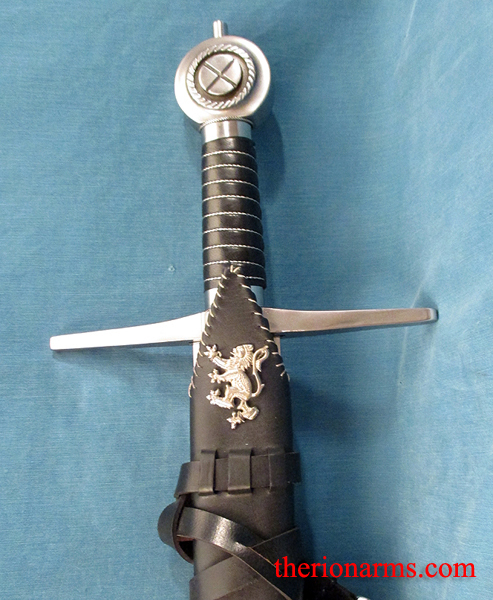 The pommel is emblazoned with the Cross of St. Andrew, and the hearty grip is wrapped in soft black leather bound by a corded silver chain. 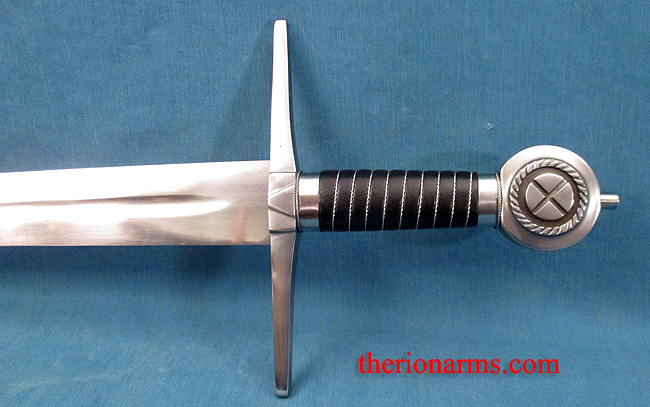 The sword comes complete with a matching thick black leather scabbard sporting a silver lion of Scotland at its throat and a rounded silvered chape at its tip. 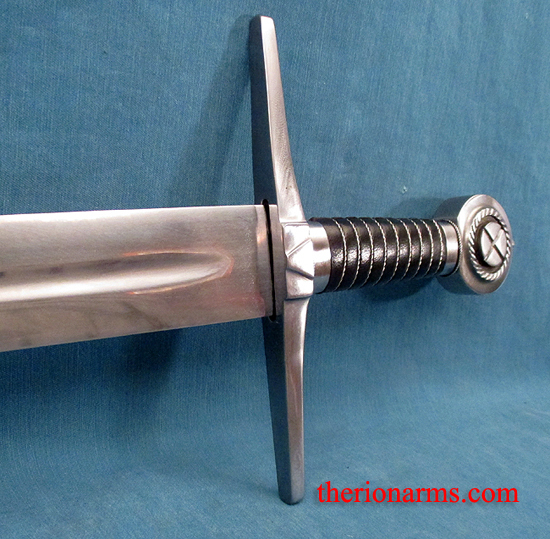 An integral 56 1/2" long, 1 1/2. 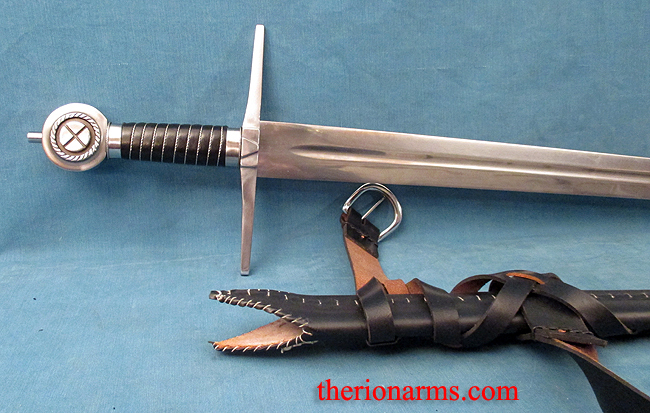 wide leather sword belt completes the ensemble. 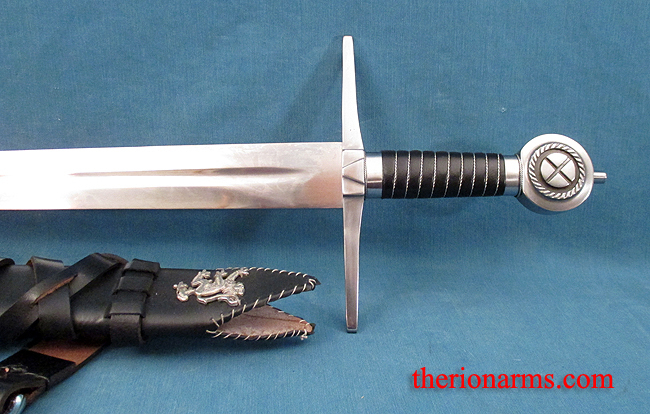 grip and pommel and tang nut: 7 1/8"
buckle side of belt: 6"